Entrepreneurship has taken the economy by storm. 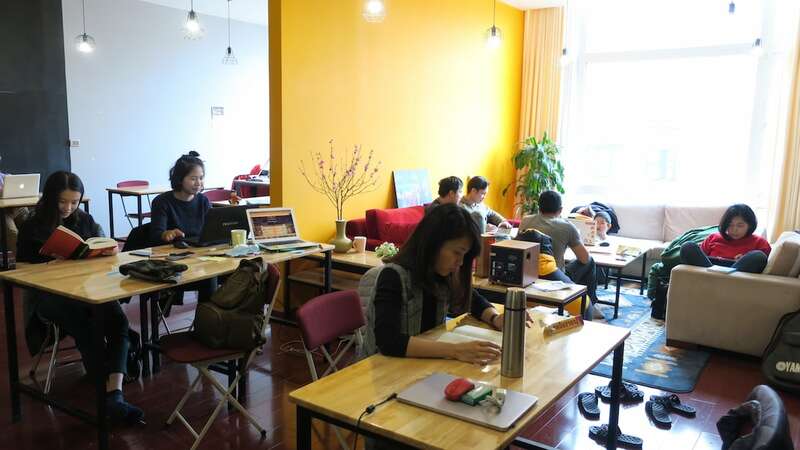 Following it is the rise of coworking spaces in Hanoi and Ho Chi Minh City—with a sprinkling of other spaces elsewhere in Vietnam—as a low-cost collaborative alternative to traditional offices. Between 2004 and 2015, Vietnam experienced a six-fold influx of foreign workers and remote freelancers. The surge in outside interest was one factor in the robust first-quarter growth in 2017 which saw 39,580 startups enter the Vietnamese market. 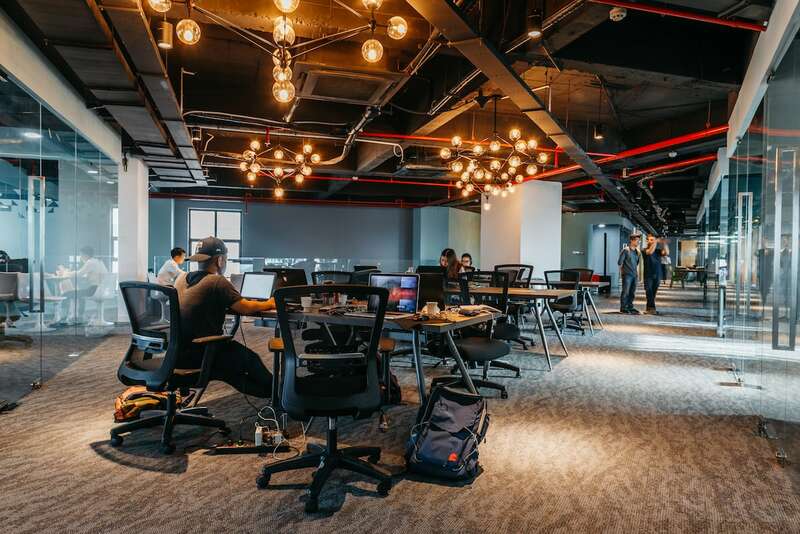 Vietcetera has already explored coworking spaces in Ho Chi Minh City. We uncovered a range of collaborative networking hubs where ideas are exchanged and startups are incubated. After compiling that list of our favorite coworking spots in Ho Chi Minh city, we decided it was time to hop on a plane to Hanoi in search of five coworking spaces in our nation’s capital city. 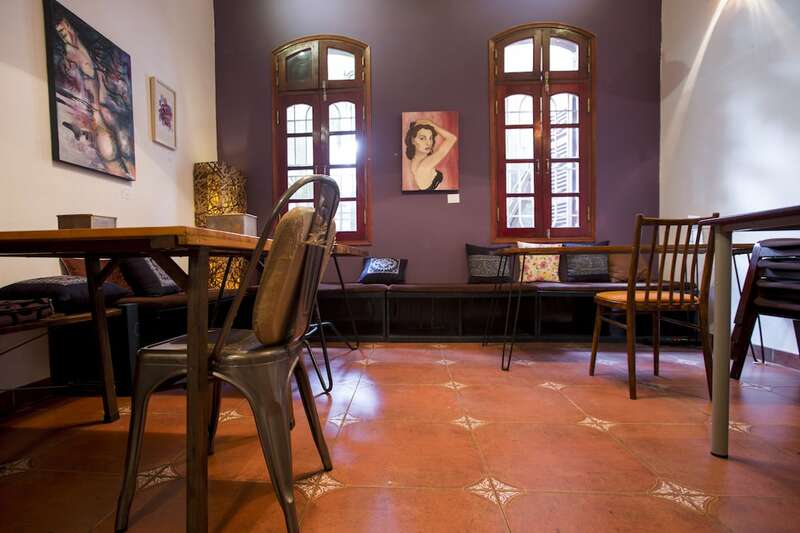 Tucked away in a small alley in the expat enclave of To Ngoc Van, ClickSpace is one of Hanoi’s more innovative coworking spaces as it avoids a faceless corporate identity by employing a more rustic, characterful design. Visitors to ClickSpace work in a French-style villa with a spacious courtyard with lots of shade provided by mango trees and the surrounding greenery. ClickSpace’s French-style villa with its shady, serene courtyard. “Globally coworking spaces feel the same—you can find glass window dividers and black leather chairs in coworking spaces anywhere from Hong Kong to New York City. But at ClickSpace, I want people to know that they are working in Hanoi,” co-founder Jason Lusk explains. From traditionally embroidered puff pillows and paintings from local artists to the rustic wood-carved tables and chairs, Jason is creating a space with its own tranquil style. Jason is creating a space with its own tranquil style. Both long-term members and day-crawlers at ClickSpace can enjoy healthy meals such as snacks like avocado toast, vegan burgers, and classic Vietnamese banh mi at the SpaceBar Cafe just beneath ClickSpace. On weekdays, SpaceBar cafe hosts events for its members including movie nights, game nights, and art for adults. Aside from helping members connect offline, ClickSpace has an online blog to broadcast stories about its guests but also to share tips on living and working in Vietnam. They also founded a job-seeking platform to connect expatriates with certified local companies. Moonwork occupies a central location on Dien Bien Phu street, just minutes away from Hanoi’s Flag Tower in Ba Dinh district. “Before, I was working in the corporate world. But I realized that having free time and seeing my family were more important than fame and fortune. So I quit and did my own thing,” cofounder Giang Vu remembers. The friendly atmosphere is what makes Moonwork stand out. Plus, walking into Moonwork feels like entering a greenhouse. “I want to create an environment that is both green and peaceful. We use natural sunlight and lots of plants to inspire creativity in our customers,” says Giang. 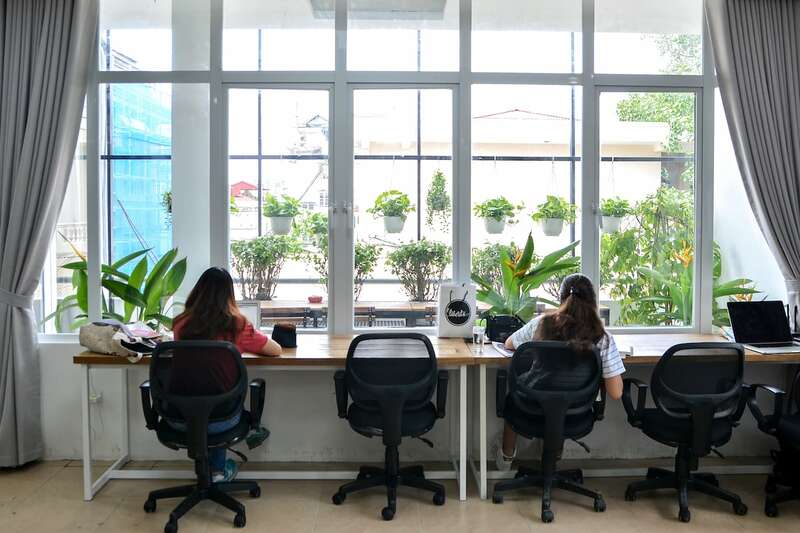 With large windows facing three directions, a cluster of indoor plants, and a hanging garden on the balcony, Moonwork is Hanoi’s greenest coworking space. The environment at Moonwork is nurturing. “I wish to make a space where everyone can just be themselves while working collaboratively and non-competitively,” says Giang. Coworkers bring in meals and refreshments—even their own cutlery to eat together in the small communal kitchen. “I want everybody to feel at home. Almost everyone knows each other here,” the cofounder nods proudly. Instead of organizing conventional networking events for its members, Moonwork hosts different kinds of functions. Notable examples include their children’s day celebration where everyone brings in food and chats about their childhood memories. Then there’s Waikiki day—a leisurely event where everyone comes in wearing flip-flops and beachwear. Moonwork also sponsors a range of day trips and short breaks—they most recently held a weekend getaway at Dai Lai Lake in the Tam Dao mountains. The Learning Hub is a collaborative space for the changemakers of Vietnam. The Learning Hub opened its doors in May of 2018. It’s the newest coworking space on our list. It proclaims itself as a “collaborative space for changemakers of Vietnam”. Passerbys on Ngo Quyen street may easily miss the entrance—there are no signs, only a logo subtly shared on the wall outside. To gain access, simply follow the green logo, pass the street vendor at the front entrance and continue until you hit a wide door on the left. There you will see the logo again. Ring the bell until you are buzzed in and then head up the stairs. Inside is a funky, cozy coworking space. We met with founder Hoang Nguyen and community chair Long Pham, who both told the fascinating story of The Learning Hub’s inception with Vietcetera. It began as a private space for Knowmads Hanoi—a collective that fostered conditions for growth and self-exploration in a humble group setting. 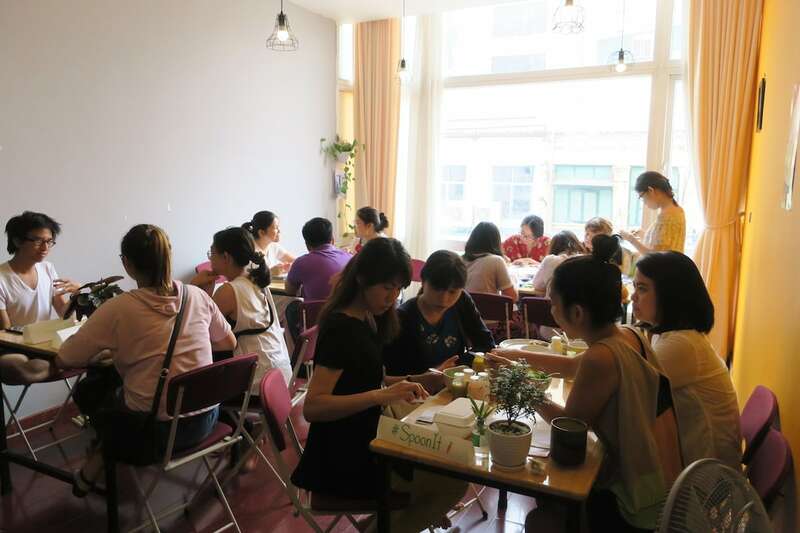 Now the space has transformed into The Learning Hub, a coworking space in Hanoi that, unlike its predecessor, is open to the public. Opened in May 2018, The Learning Hub is a funky, cozy coworking space. “We now have everyone from life coaches and freelancers, to college students and sustainable business owners,” says Long. “We wish to build a close community and an affordable space for people who care about environmental and social issues, and self-development,” he adds. The Learning Hub hosts regular community dinners, movie screenings, and internal exchange fairs—an event where members gather to discuss projects they’re working on. “Here, social impact is the core!” Hoang emphasizes. HATCH! VENTURES began as a startup incubator and community builder in Hanoi about six years ago. Then, more recently, HATCH! VENTURES opened this coworking space called HATCH! 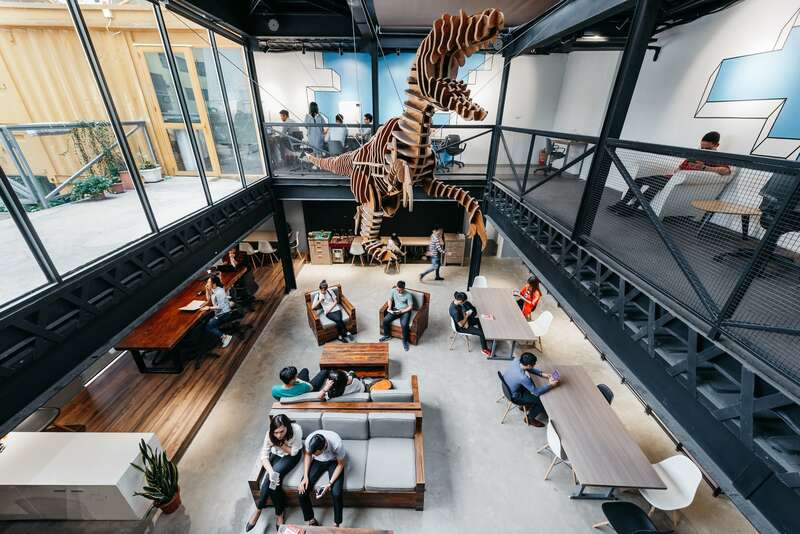 NEST to provide a physical place where its startups and other small companies meet and mingle. HATCH! NEST is a much smaller coworking space than the others, but it is affordable and supports startups that have long working hours. “Our members are mostly involved with tech startup who benefit greatly from our network and our startup acceleration program,” administrator Nhung Tran tells us. Signature bright-yellow walls highlight the vibrant, youthful vibe of this place. 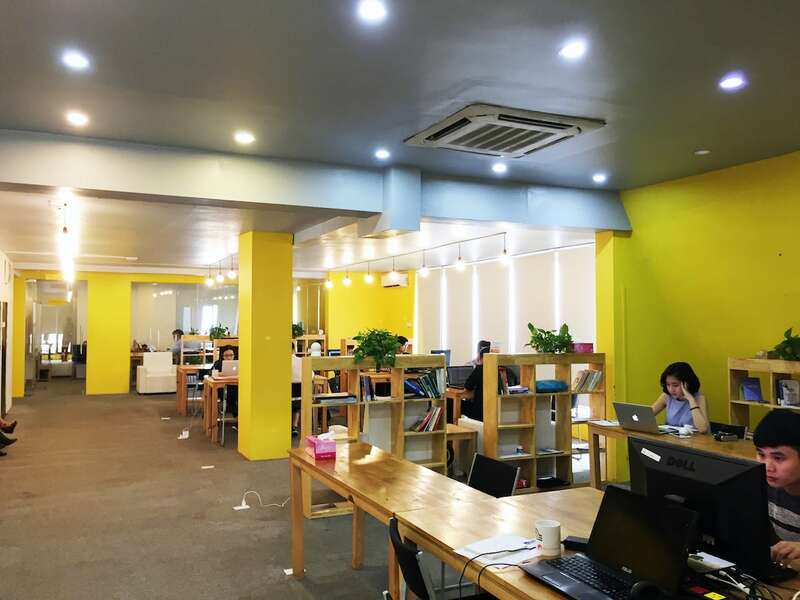 The coworking space is located on top of a highrise building in the middle of Hanoi’s Ba Dinh district. Once you arrive at the building, turn left to the elevator entrance and go up to the 14th floor. There you will be greeted by the coworking space’s signature bright yellow walls that symbolize the vibrant, youthful vibe of this place. In terms of events, HATCH is famous for its annual HATCH! FAIR—an entrepreneurship conference and business exhibition held in Hanoi and Ho Chi Minh City. The upcoming fair this September 2018 will welcome over 2000 spectators, 80 international speakers, and 35 supporting partners. “The customers pretty much work, eat and sleep here,” says Nhung Tran. During the tour, we were fascinated by the sight of napping workers. “Our customers work very hard. They pretty much work, eat, and sleep here,” Nhung chuckles. This bright and modern coworking space is modeled after offices in San Francisco’s Silicon Valley. 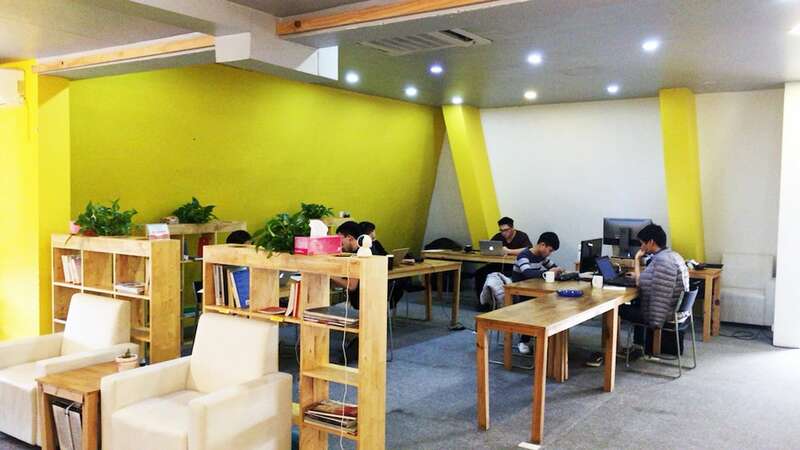 UP was one of the earliest coworking spaces in Hanoi to open its doors. Since launching in March 2016, UP has expanded to six locations in both Hanoi and Ho Chi Minh City. The spacious, bright, modern office models itself on spaces in San Francisco’s Silicon Valley. The variety of locations offer many seating choices—from sleek translucent stools to leather-clad couches, large wooden tables to smooth white round desks. Aside from the main coworking space and private meeting rooms, UP also offers a relaxation lounge and an entertainment area. 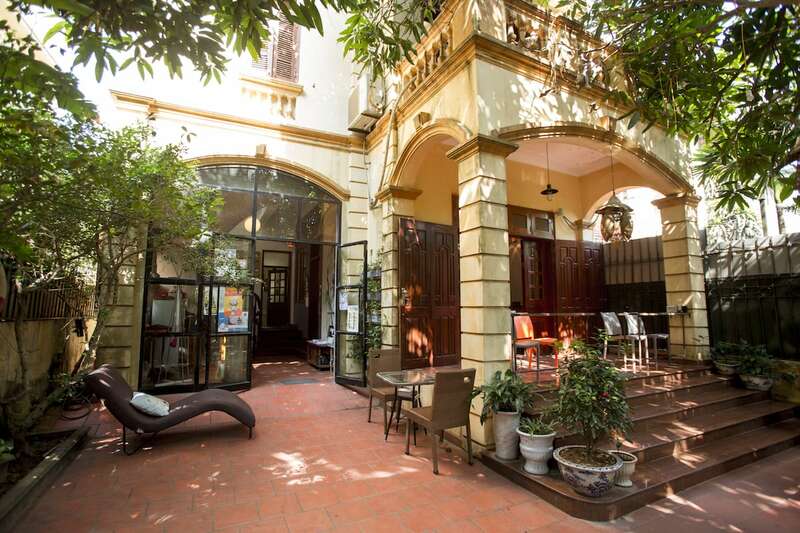 The headquarters is conveniently located in Hanoi Creative City. Workers can roam in the shopping mall, play games, and enjoy its variety of restaurants after a long day of work. UP is open 24/7 and boasts many amenities for members like free use of projectors, Apple TVs, and private phone booths. Members who purchase the “virtual office package” also receive storage space, mail service, and a fixed-office phone number. UP also offers a relaxation lounge and an entertainment area. The atmosphere is dynamic, with a focus on developing and nurturing the startup scene in Hanoi. It has a distinguished internal mentor network that connects individual members of the coworking space to professionals and sponsors. “We created UP with the belief that now is time for the startup scene in Vietnam to receive our support,” UP’s founder Nam Do nods.